Sarnath is one of the four holy places for Buddhists. This is where Gautama Buddha gave his first public lecture including Dhammacakkappavattana Sutta. 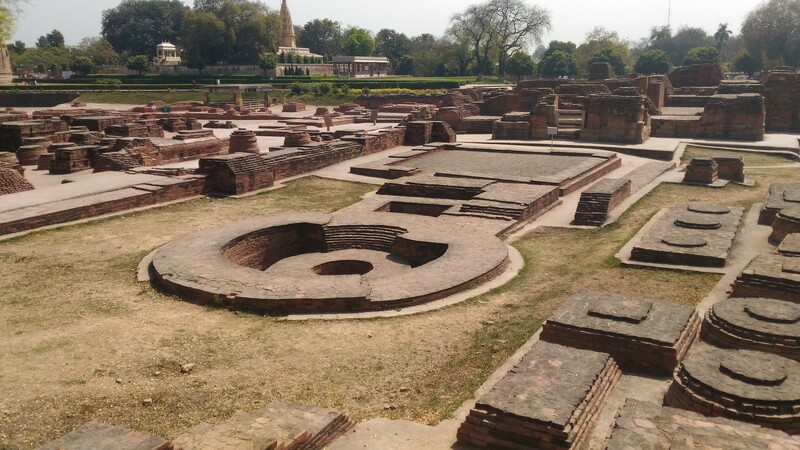 Otherwise Sarnath also has one of pillars of Ashoka. Its broken and the Lion Capital of Ashoka is for display inside museum. 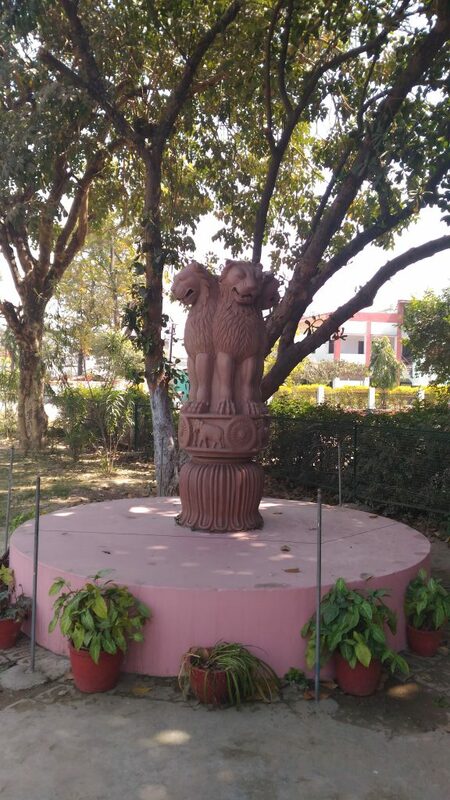 Lion Capital is also the state emblem of India. I really wanted to use this road trip to visit this museum. So today’s plan was made around that visit. 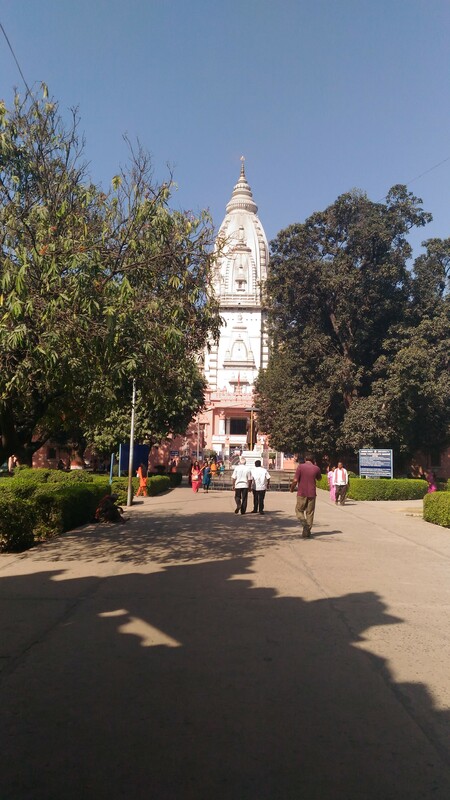 We started the day by visiting birla temple inside BHU. 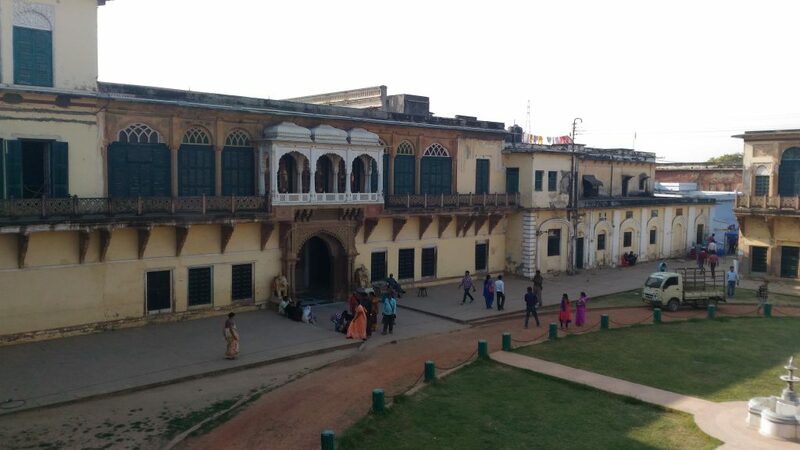 BHU is huge and is very peaceful amongst chaotic Varanasi. Temple is made up of marble and is a Shiva temple. 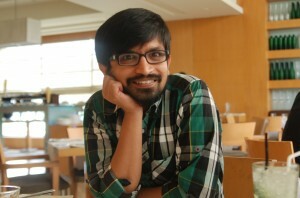 We also has South Indian breakfast inside the campus near he temple. 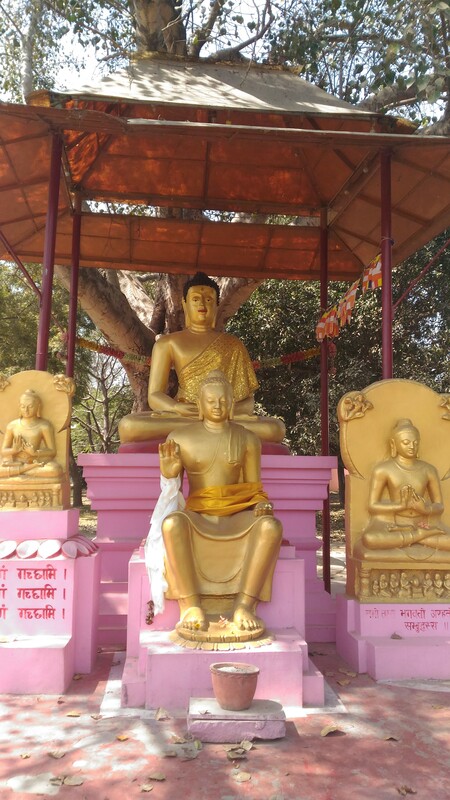 Next visit was Wat Thai Sarnath Temple. 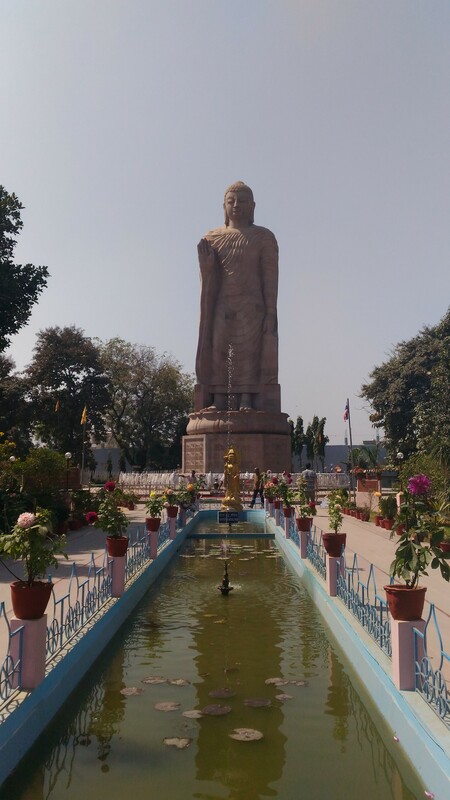 Its a buddha temple inside a park and the park also hosts a huge statue of Buddha. Chakra, Actual one is inside museum. 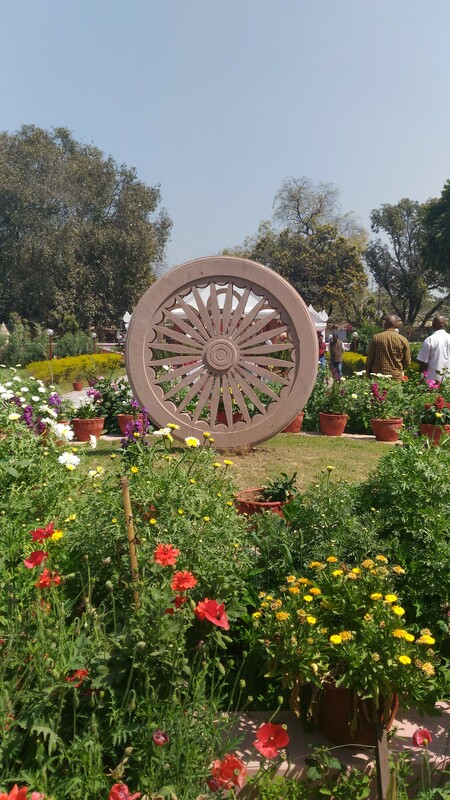 The park also has copies of Sarnath Ashoka Pillar capital and chakra. The real ones are inside the museum in the opposite building. Museum is a must visit. Ashoka Pillar capital, Real one is inside museum. Next to museum is old Buddhist remains. 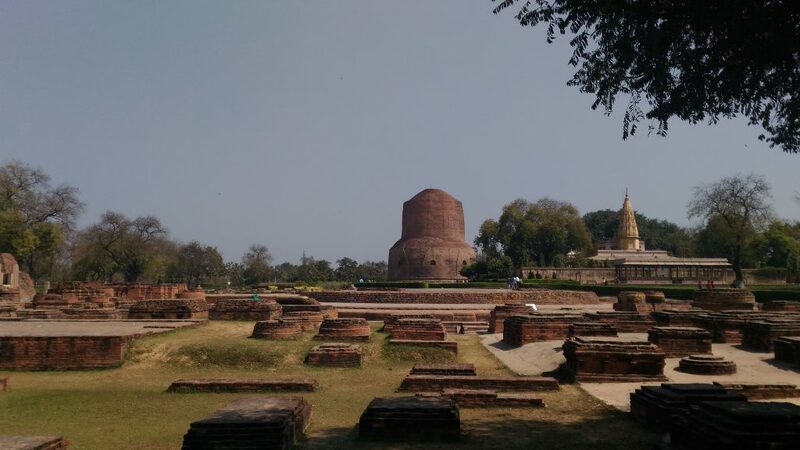 Remains have Dhamek Stupa; it’s huge and impressive. You can also base of Dharmarajika Stupa. Many others are destroyed. But the remains are very well kept and maintained. Its fun to walk around the park. 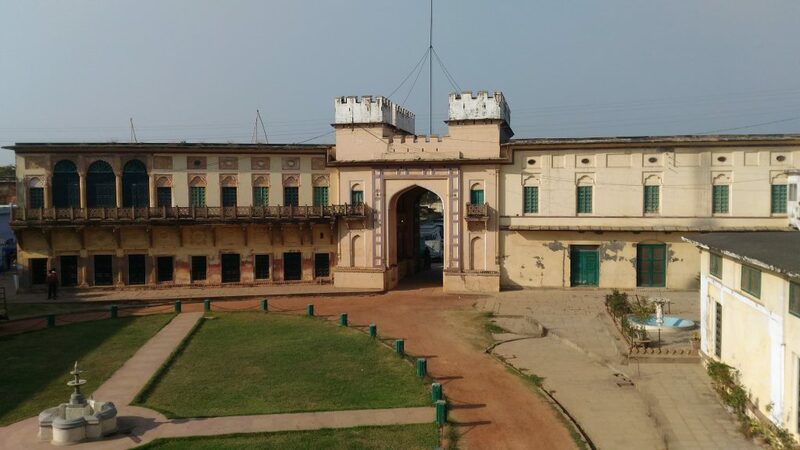 After Sarnath we went to Ramnagar fort. Its fun visit to the museum. Visit only if you have time.